Manulife Financial Corporation is a Canadian multinational insurance company and financial services provider headquartered in Toronto, Ontario, Canada. 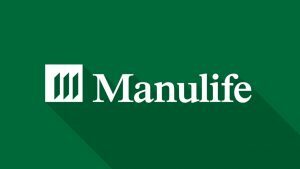 Manulife Insurance is the biggest and best insurance company in Canada. The company operates in Canada and Asia as “Manulife” and in the United States primarily through its John Hancock Financial division. That help and support more than 22 million clients around the world with their financial decisions. Their network of more than 35,000 employees and 70,000 agents, they are able to provide financial advice, insurance and wealth and asset management solutions that support customers’ create long term personal financial gain and secure their financial futures. The Manulife FlexCare is a flexible and affordable health and dental insurance plan that protects you against unexpected medical and dental expenses. It is designed to help you curb excessive routine expenditure on health, dental and other issues that are not covered by provincial health care plans in Canada. Manulife FollowMe is a guaranteed health and dental insurance plan for Canadians. It is designed for people who have lost their insurance coverage within the past 90 days. Enjoy the Manulife Association Health and Dental Insurance plans that is perfectly designed for small to large associations and small businesses. With this plan your family can take advantage of the many health and dental plan options available. FollowMe Life plan is the Manulife life insurance product for individual protection that is designed for unemployed Canadians. It is an affordable and uninterrupted life insurance replacement for individuals that recently lost employer insurance benefits. Family Term Life plan is the Manulife’s affordable and flexible term life insurance product for family under the life insurance category. With this plan, families can maintain a comfortable lifestyle, settle their debts and mortgages without much ado. CoverMe Guaranteed Issue Life plan is the Manulife’s popular guaranteed issue life insurance product that is designed for Canadian resident age between 40-75 with existing health problems. With this plan the insurer have a peace of mind knowing that you have a coverage regardless of your health history. CoverMe Critical Illness plan is the simple, affordable, flexible and the Manulife’s most popular critical illness insurance product under the health insurance category. With this plan the insurer will receive a tax-free, lump-sum benefit after satisfying the 30-day waiting period if the insurer diagnosed with life-threatening cancer, heart attack, stroke, coronary artery bypass surgery, or aortic surgery. CoverMe Travel Insurance for Traveling Canadians plan is the Manulife travel insurance product for individual protection that designed for Canadian travelers. It offers comprehensive protection irrespective of the reason why you embarked on the travel. You can leverage this coverage whether traveling for business or pleasure.